Media captionGeoffrey Cox is keen to ensure that what was in "Cox's Codpiece" is "in full working order". The UK's attorney general says Brexit negotiations will continue as EU officials call for "acceptable" ideas by Friday to break the impasse. 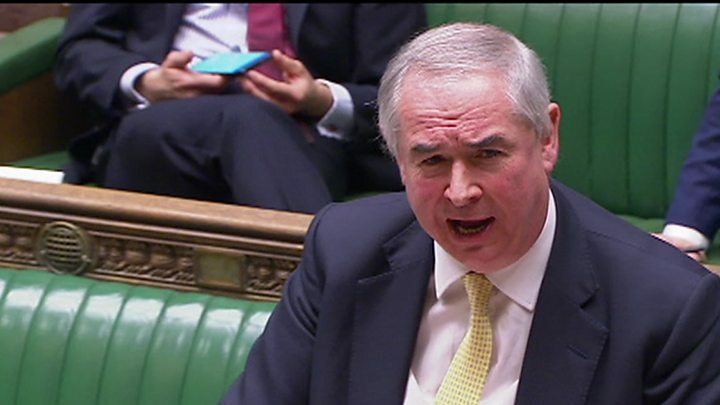 Geoffrey Cox said plans to solve the deadlock over the Irish backstop were "as clear as day", with just days until MPs vote on the Brexit deal. Commons Leader Andrea Leadsom confirmed the vote will be held on 12 March. Chancellor Philip Hammond has warned Brexiteers to vote for the deal or face delay to the UK's exit from the EU. The backstop is an insurance policy designed to prevent physical checks on the border between Northern Ireland and the Republic of Ireland. Mr Cox, who was in Brussels on Tuesday to push for further changes to the Brexit deal, said talks will "almost certainly" continue through the weekend. He said there had been "careful discussions" with the EU and stressed it was government policy to seek the legal changes to the backstop. "We are discussing text with the European Union," he said. "I am surprised to hear the comments that have emerged over the last 48 hours that the proposals are not clear; they are as clear as day, and we are continuing to discuss them." Earlier Mr Hammond refused to be drawn on how he would vote if Mrs May's deal is defeated. "If the prime minister's deal does not get approved on Tuesday then it is likely that the House of Commons will vote to extend the Article 50 procedure, to not leave the European Union without a deal, and where we go thereafter is highly uncertain," he told BBC Radio 4's Today programme. "For those people who are passionate about ensuring that we leave the European Union on time it surely must be something that they need to think very, very carefully about now because they run the risk of us moving away from their preferred course of action if we don't get this deal through." In the Commons, Mr Cox also noted that his proposals to change the backstop had been referred to in some quarters as "Cox's codpiece" - using a term to describe a pouch attached to a man's breeches worn in the 15th and 16th Century. "What I am concerned to ensure is that what's inside the codpiece is in full working order," he quipped. But Brexiteer Mark Francois, who is a member of the Eurosceptic group of Conservative MPs, the ERG, said Mr Cox had taken charge of the negotiations and would "effectively be examining his own codpiece in the Commons". He questioned how Mr Cox could provide objective advice when he was "in effect marking his own homework". Mr Cox replied that "the law is the law", and that he will judge documents relating to the backstop "entirely and impartially". What we heard from the chancellor this morning was that he was clear about the uncertainties ahead - and rather unclear (cagey, in fact) about how he might vote when it came to decision-time about a no-deal. There was an explicit warning to Brexiteers: vote for the prime minister's deal because otherwise, it's delay and a soft Brexit. As one minister expressed to me yesterday, they believe the vote does have a chance of getting through because Brexiteers will realise - just in time - that it's either the PM's deal next week, or what this minister described as "soft, softer, then meltdown". But across government, the mood is not optimistic about what's going to happen next week and most ministers are expecting a defeat. French Europe minister Nathalie Loiseau reiterated the EU's position that the withdrawal agreement cannot be reopened and said the deal was the "best possible solution" with the controversial Irish backstop a "last resort solution". She said: "We don't like the backstop, we don't want to have to implement it, and if we have to, we don't want to stay in the backstop. "We all agree that it should be temporary." Meanwhile, former Labour Prime Minister Gordon Brown has told the BBC he is calling for the UK to seek an extension to the Article 50 process, under which the UK is due to leave the European Union on 29 March. Mr Brown suggested a year-long extension would allow further consultation with the British people. Any extension would require the unanimous agreement of the EU. He suggested citizens' assemblies could be used - as they were in Ireland ahead of a referendum on abortion - to consult people further on the issues in the absence of any clear majority for a way forward. "Parliament has proved itself incapable of solving this problem," he said. "I respect the job that legislators try to do but the country is fed up that Parliament hasn't found an answer. I think the only way that we can get unity in this country is by involving the people in trying to find the solution." In the Commons, Andrea Leadsom said in the "deeply regrettable case" that the deal is rejected, she will make another statement on Tuesday, to allocate time for the promised votes on leaving without a deal or deferring the UK's exit from the EU beyond the scheduled date of 29 March. Mrs May is pinning her hopes on getting changes to the backstop that will prevent the UK from being tied to EU customs rules if no permanent trade deal is agreed after Brexit. 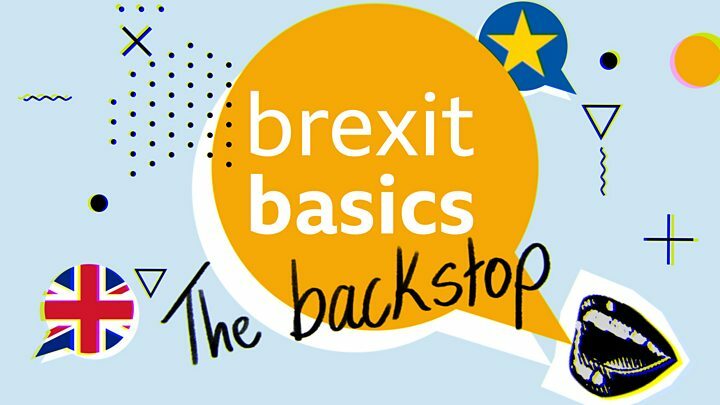 Critics say that - if the backstop were used - it would keep the UK tied to the EU indefinitely. Conservative backbencher Theresa Villiers, a Brexiteer who voted against the withdrawal deal in January, told BBC Radio 4's World at One: "As things look at the moment, I don't see that there is a new revised deal coming back from the European Union which implements significant enough changes to the draft withdrawal agreement to change the result [of the Commons vote on the deal]." Negotiations between British ministers and the EU officials over the past 24 hours have been described as "difficult", with the EU insisting there has been no breakthrough. Diplomats from the 28 member states were told on Wednesday that Mrs May could meet European Commission President Jean-Claude Juncker on Monday if progress was made. But the BBC's Europe reporter Adam Fleming said talk of a deadline for new proposals and a weekend of negotiations was "a notional timetable" and that more flexibility could be possible.